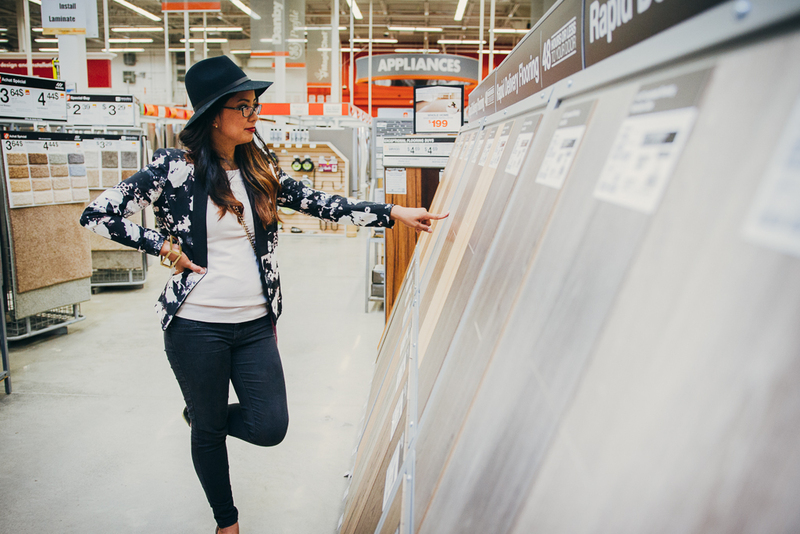 Renovating a house requires lots of coordination- so any chance I get to streamline the process of purchasing products I take it. And I certainly took at The Home Depot this summer shopping for materials for my #canningreno. 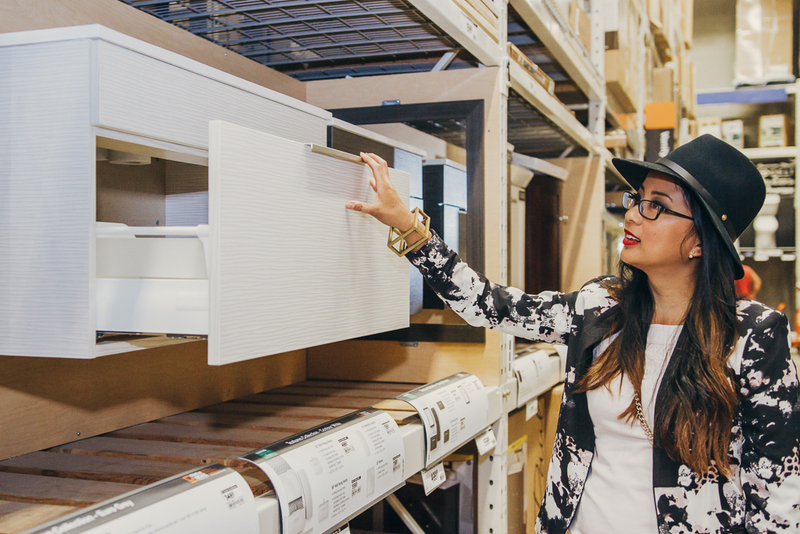 While big box stores can be overwhelming to navigate through, you are able to accomplish A LOT within an afternoon. Here are all the goodies I was able to pick up in one shot (with my daughter in tow). I grabbed all my bathroom tiles at the Home Depot- we went with a beautiful marble mosaic on the tub surround, and a simple 12" x 24" porcelain tile on the floor. 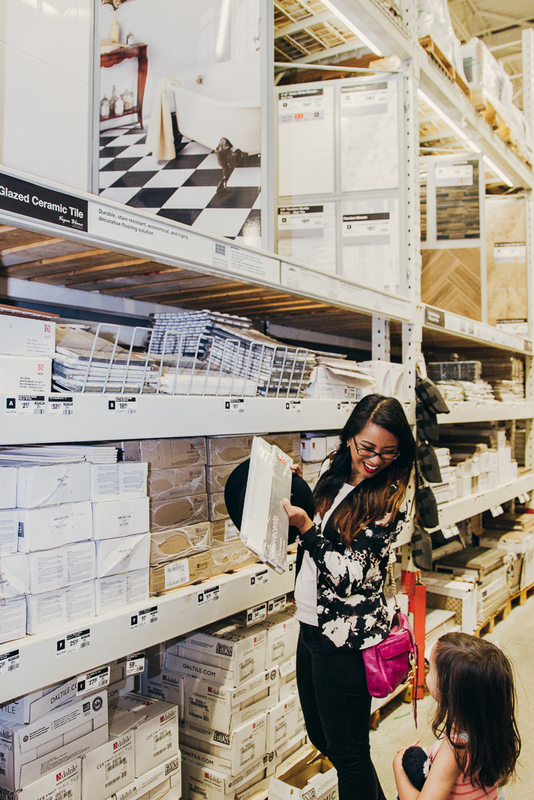 The Home Depot organizes coordinating tile together- so you can pick up a suggested combo of tub surround, flooring, and accent, all in one shot. 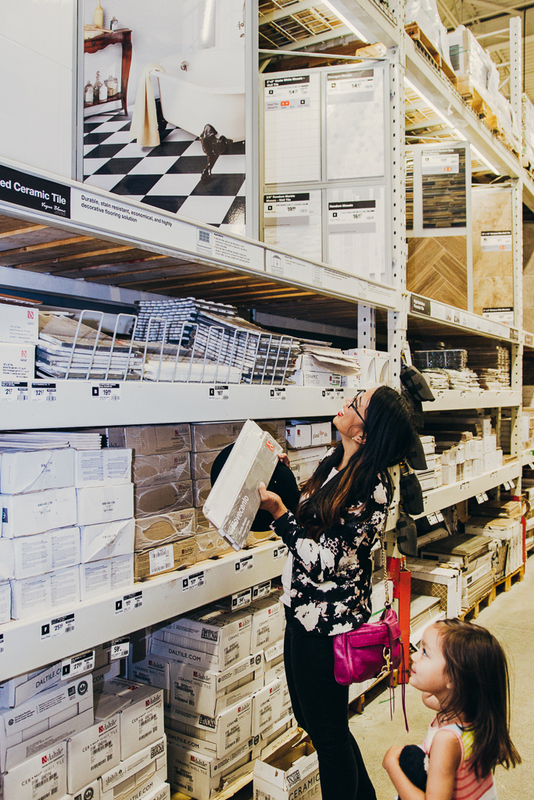 A quick tip- if you aren't shopping with a designer and are stuck for grout colour- the Home Depot even suggests best grout colour and where to pick it up alongside the tiles on the board displays. For my bathroom vanity, I wanted something with a minimal, European style flat front profile- but I wanted to keep the cost reasonable so I selected a Canadian made vanity by Cutler. I have purchased similar looking vanities in the past for a price point in the thousands- I'm happy I was able to find something in a similar stylish esthetic, but at a price point in the hundreds. 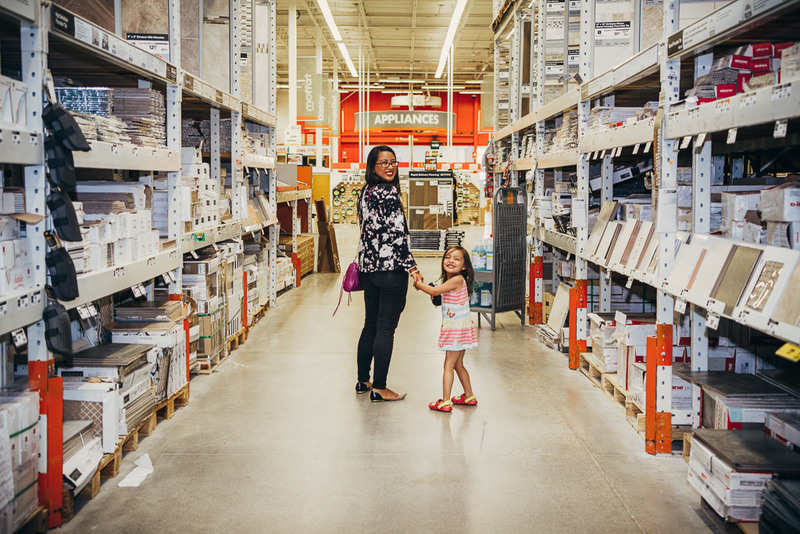 Here's a tip- the Home Depot sells tons of product online only. 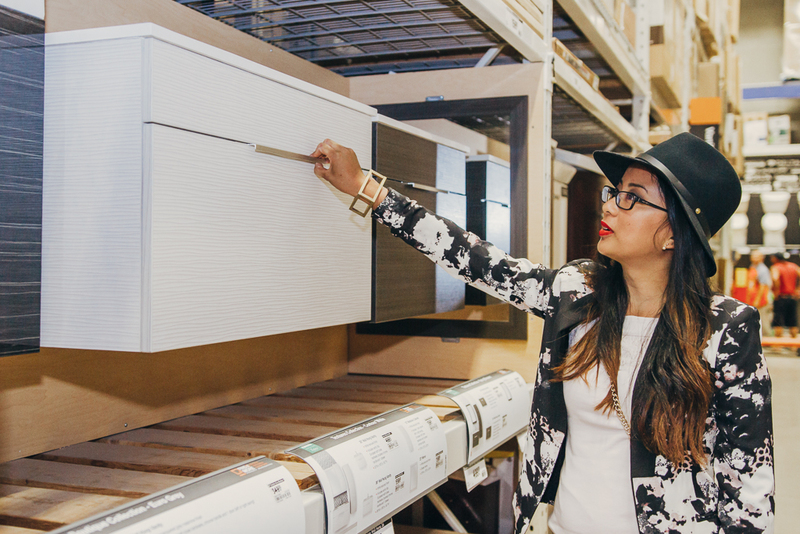 I was able to check out the construction of Cutler vanities in the store, but found a colour and size more appropriate to my space online. You might be surprised what you find online that can then be delivered to your front door. I have reflected in the past that it has not been as easy as I thought to work on my own house. In fact, there is still a ton to do. So sometimes it is VERY WELCOME when something can show up at your doorstep, like, yesterday. 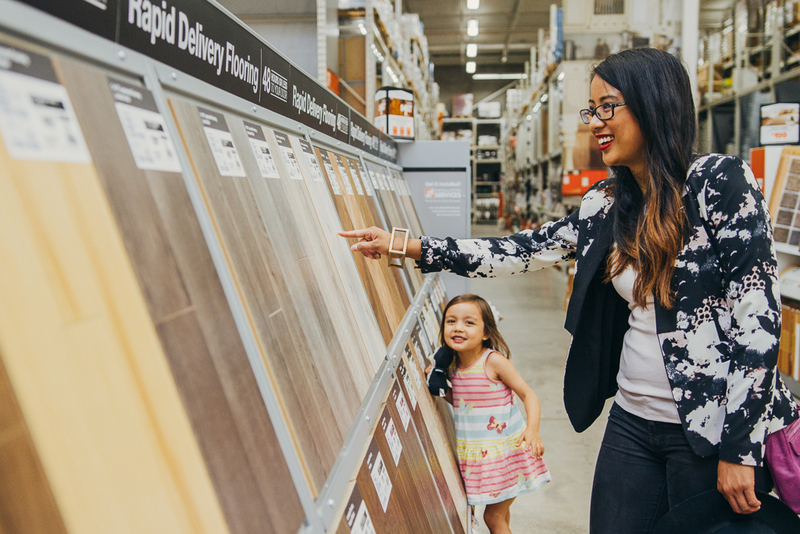 The Home Depot has some rapid delivery laminate flooring options that makes it super easy to stay within your schedule (and help souls like me who sometimes forget to pick certain finishes because they are so busy and fail to realize that floors on schedule for the basement would be important!!!!) So we selected a dark grey flooring for the basement that got delivered 2 days later. 1) Make a list and write it down. I am notorious for not making a list and having to make multiple trips. 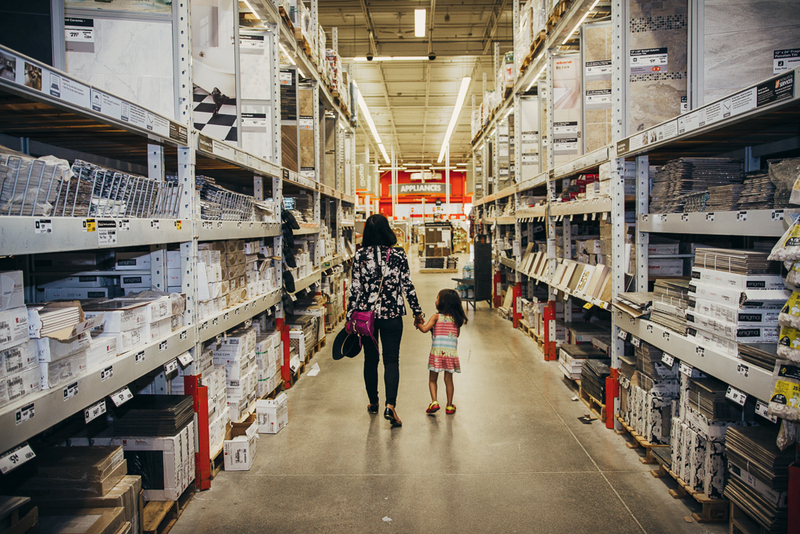 Things I always forget when shopping for myself or clients are light bulbs for lights, grout for tiles, batteries, underpads for carpets, etc. etc. etc. Use a list making app on your phone or plain old pen and paper so you don't forget. 2) Measure before you leave the house. Again, from experience for both myself and clients, I have found myself on more than one occasion sadly standing in the window blind section trying to remember how wide my window is. So actually take inventory, record on your phone or write it down, and then go shopping. I promise it will make for a more efficient experience! 3) If you know you will need help, try to go at off peak hours. Middle of the day on a weekday if your schedule allows. And if you can't find someone to help you, you can go to customer service and ask them to page someone to the department you need. 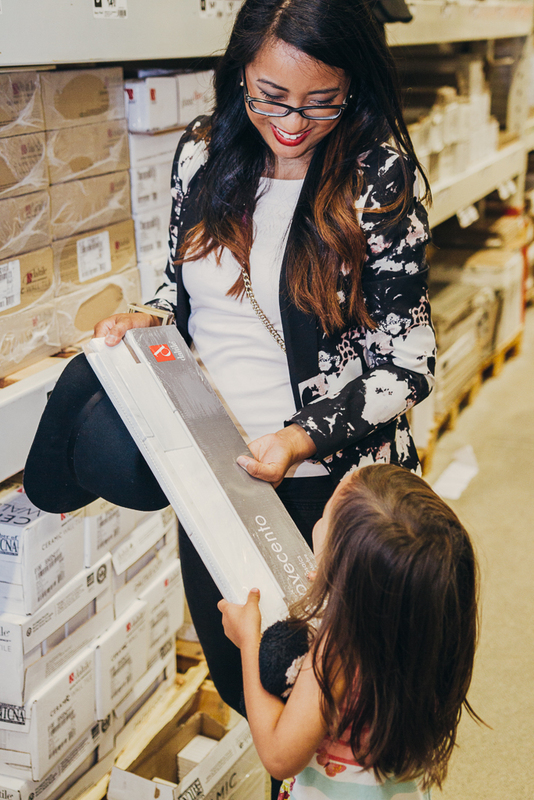 Love to hear your thoughts- what tips do you have for making a big shopping trip a successful one? 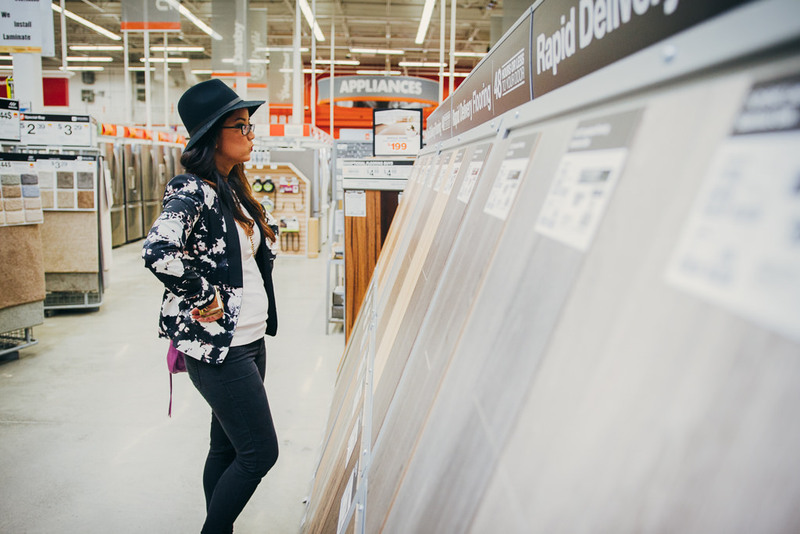 Thanks to The Home Depot for partnering with me on my home renovation and for hosting us in the store. Photos by mdd photography. For more from this series on shopping for items for my #canningreno check out my recent shopping trips here and here.